Won’t let your stroller fall over. It redistributes weight towards the stroller's center of gravity to keep it standing upright. 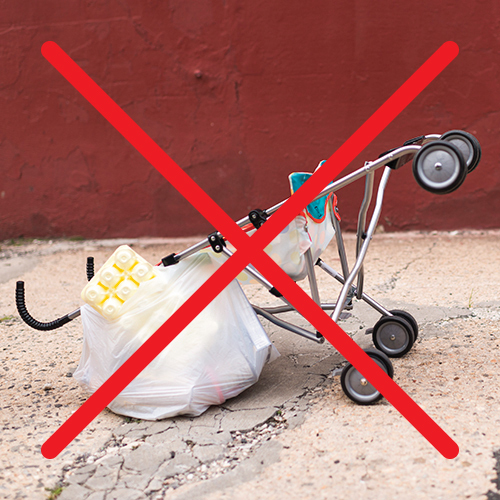 Slip your stroller handle into the pocket in the bag handle to keep it from sliding to the ground. SURESHOP™ scrunches into a self-storing pouch. Holds up to 10 pounds on each side. 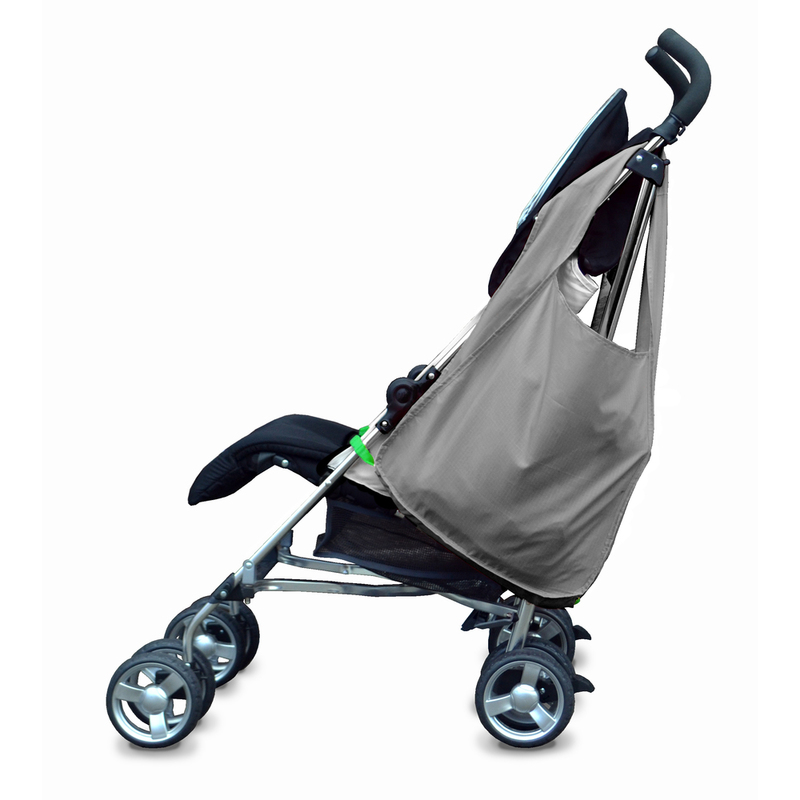 SURESHOP™, the reusable shopping bag that won't let your stroller fall over, was designed as a non-tip umbrella stroller bag. The clips at the top of the bag, however, attach to most single handlebar strollers too. It also hangs from shopping carts, chair backs, walkers, bike handles and more. Patent pending. How do use your SureShop?